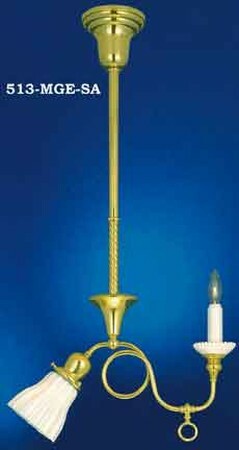 Very popular combination candle (formerly gas) & "down" electric shade sconce. 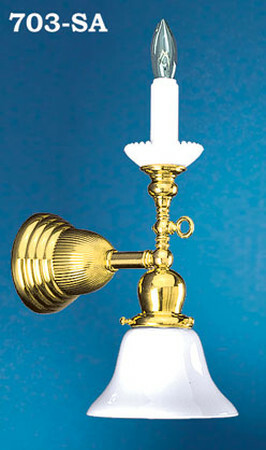 The porcelain candle and drip saver are included in the price of the fixture. 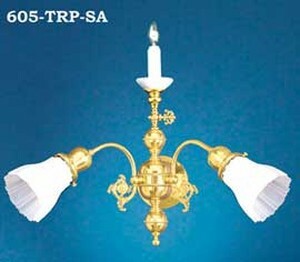 Our polished brass sconce is unlacquered. Our hand-finished antique brass sconce is lacquered to protect the patina. Our nickel plating is applied at the factory for long-lasting quality. This fixture uses a 2 ¼" glass shade fitter size. Shades sold separately. 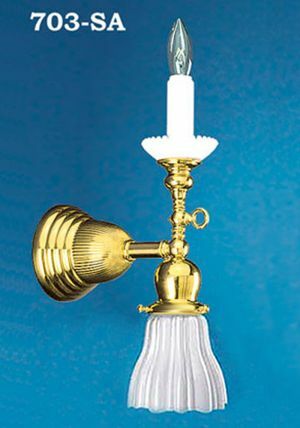 One suggestion is our opal glass ribbed shade, which nicely complements the milk glass candletube. Changing the electric shade will change the mood or "period" in which you wish to decorate. We have over 20 styles of 2¼" shades to complement your decor. If you'd like an on/off switch added to the base, we offer custom installation for $25.00. Please click the "Yes" option in the "Add Switch?" menu to add the switch to your order. Popular fixtures in this style include the two light pendant, which is an excellent choice for an entry or hall light, or for smaller rooms. 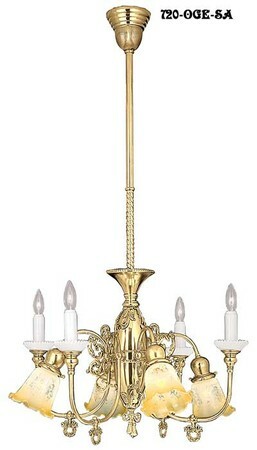 For a grand dining room fixture, see our candle & electric chandelier 720-OGE-SA. Plenty of ambiance and direct light. 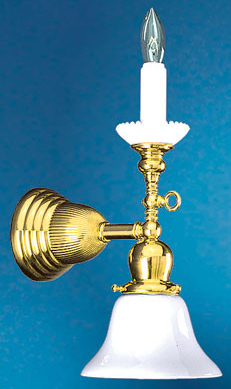 Wattage: Wired to UL standards with one candelabra socket up to 75 watts, and one medium base socket to 100 watts. Will also accept CF "spiral" bulbs.